Facebook to invest millions in producing its own TV shows | What Hi-Fi? 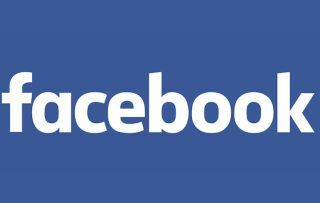 Social media giant Facebook is to break into the youth television market, with a relationship drama and game show currently planned. There's no point building a TV app if you don't have the content to put on it. But following the launch of its TV app, Facebook is investing in the development of video content, according to the Wall Street Journal. A report in the Journal claims the company has met Hollywood talent agencies, with the aim of producing TV programmes for people aged between 17 to 30. Facebook has already lined up a game show called "Last State Standing" and a relationship drama called "Strangers", at a cost of around $3m per episode. However, you are unlikely to be able to binge on the series, in the same way you can on Netflix and Amazon Prime Video, as Facebook will instead run regular new scheduled episodes. This isn't the first move by a tech company into the world of television; Apple is developing Carpool Karaoke and Planet of the Apps, which Apple Music subscribers can watch online via iTunes. There have been rumours about Facebook's movements into television before, but these developments seem much more concrete.